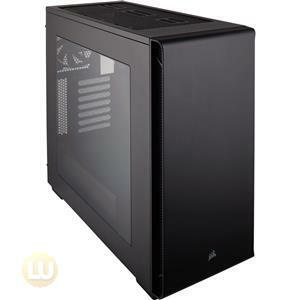 In Win IW-DRAGON SLAYER Micro-ATX Tower Computer Case. 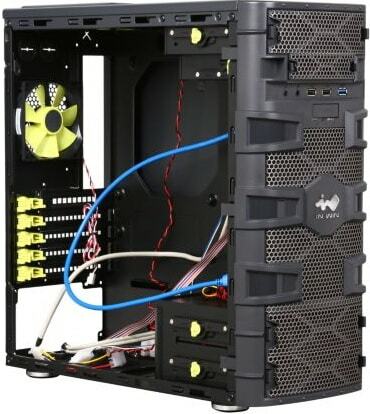 Chassis Type: Mini Tower. Case Material: SECC. 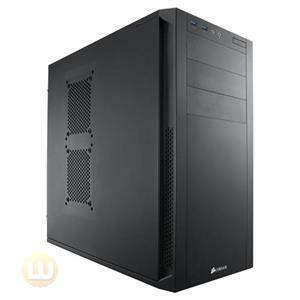 Motherboard Compatibility: Micro-ATX. 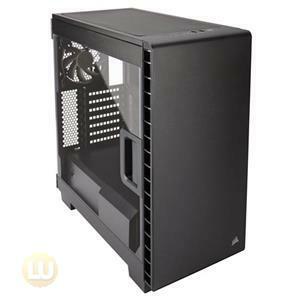 In Win DRAGON SLAYER Computer Case--Hot Designed! As David to Goliath or as Frodo to Sauron, there have been accounts where one’s appearance has not determined the winner of the battle. And it is the performance and the potential that will win in the end. 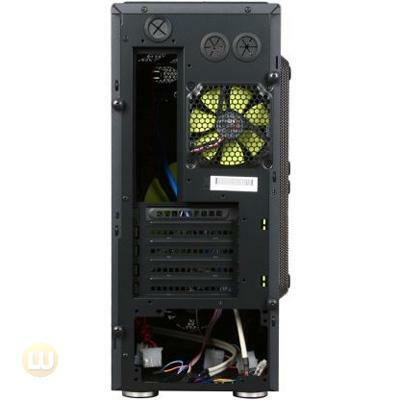 Dragon Slayer, the new mATX chassis from In Win represents all of that mentioned above. 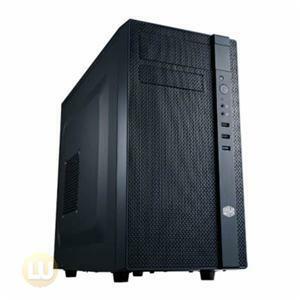 Unique with its flexibility and small size, yet it is colossal in potential. 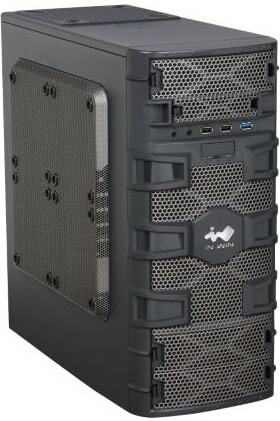 This mATX case is as powerful as a giant and capable to accommodate two full-length graphic cards. 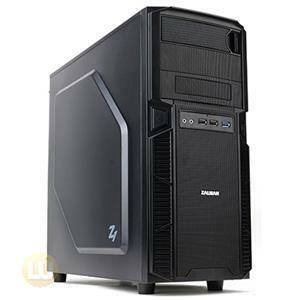 Covered by a metallic medieval chain armor-like bezel and supported by sturdy dark metal structure this case is built to keep all components unharmed, while providing excellent airflow. 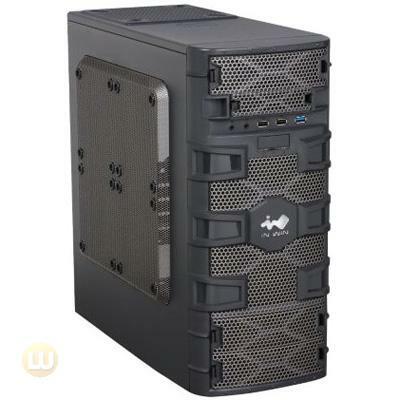 Extreme flexibility and a cable routing system makes this chassis a great knight to fight by your side during any gaming battle. 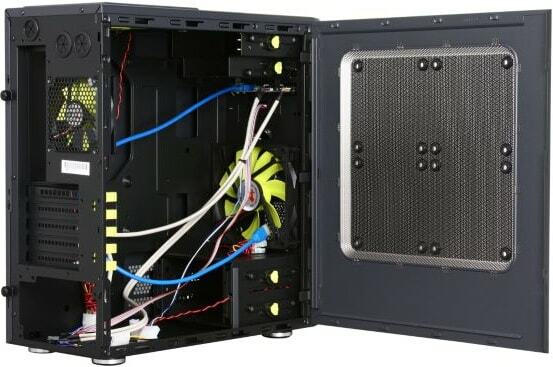 This unique, never-seen before chassis is a perfect fit for any PC enthusiast. 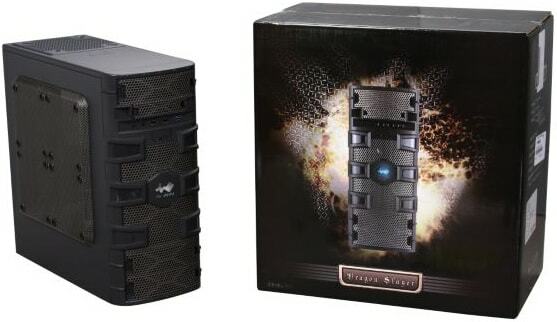 Inspired by the medieval chain armor, covered by quality dark gray metallic paint and showing an elegant blue LED logo, Dragon Slayer combines the spirit of a medieval knight with hi-tech design of present day that catches the eye. 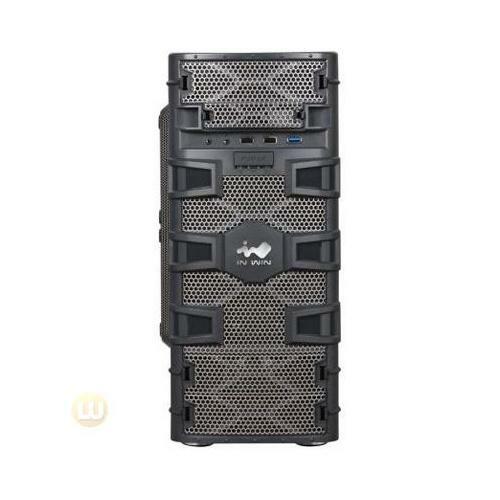 With the capacity of two full-length (12.6 inches/32cm) VGA cards and offering five I/O slots, Dragon Slayer has extreme expandability for a mini tower chassis. 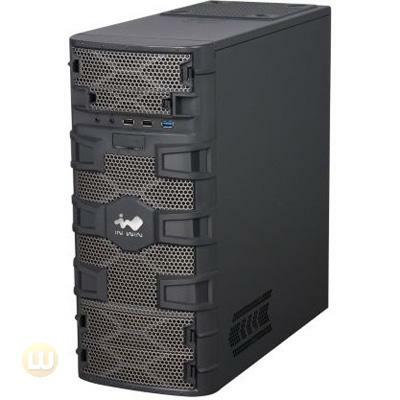 Dragon Slayer supports up to three external 5.25” drive bays, one external 3.5” drive bay and one internal 2.5” drive bay or convert two 5.25” drive bays into three 3.5” drive bays via HDD bracket. 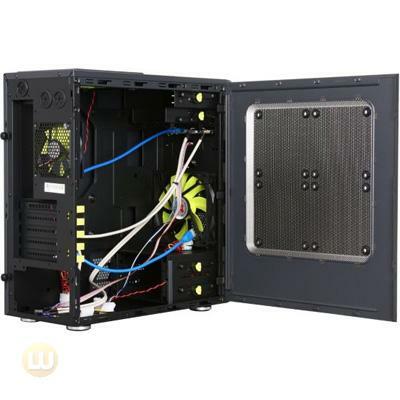 Two 14 cm fans (front and top) and one 9 cm rear fan with an additional 8 cm HDD fan to accelerate air throughout the chassis. 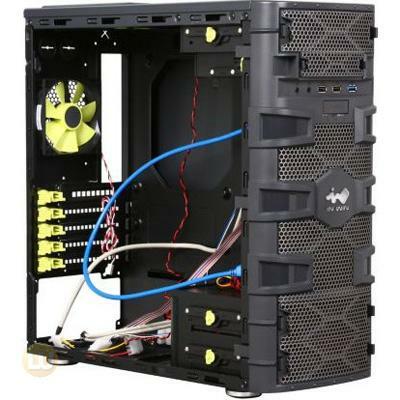 With optional four 12 cm fans on the side it provides up to total of 8 fans for even better airflow. 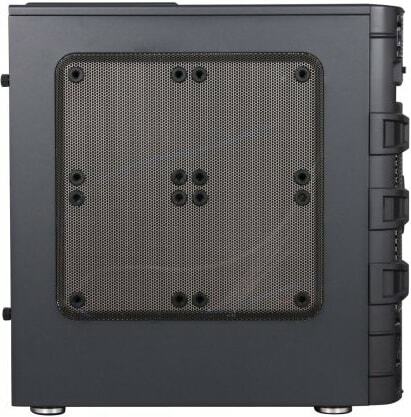 Equipped with anti-vibration pads and water-cooling holes, Dragon Slayer is ready to satisfy the strictest enthusiast. 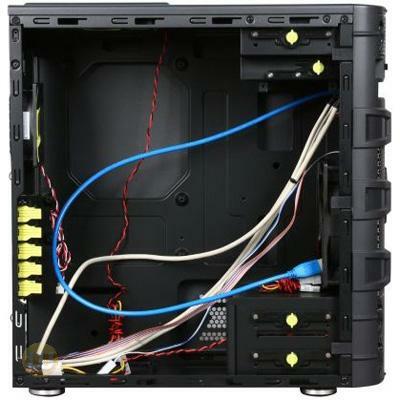 Dragon Slayer provides a cable routing system with space behind the motherboard tray to minimize cable clutter and to enhance airflow. The CPU retaining hole offers an easy installation and assembly for user. Tool-free I/O slots and patented shock-free railing system for 3.5” bays make system assembling easier. The air filter helps to keep the dust out and avoids clogging of the system as well as preventing the damage of your interior components.